Some online business owners form companies in hopes of passing them along to future generations, but many entrepreneurs go into the business with the intention of growing their companies in order to one day sell them for a profit. 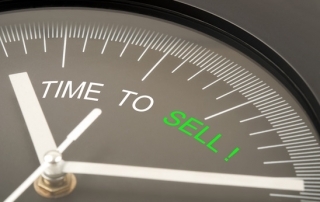 If you’re in the latter category, it’s important to know exactly when it is the best time to sell. Choosing to sell too soon could mean getting less than the full value of your company, while waiting too long puts you at risk for changes in the market that could decrease the value of your business.